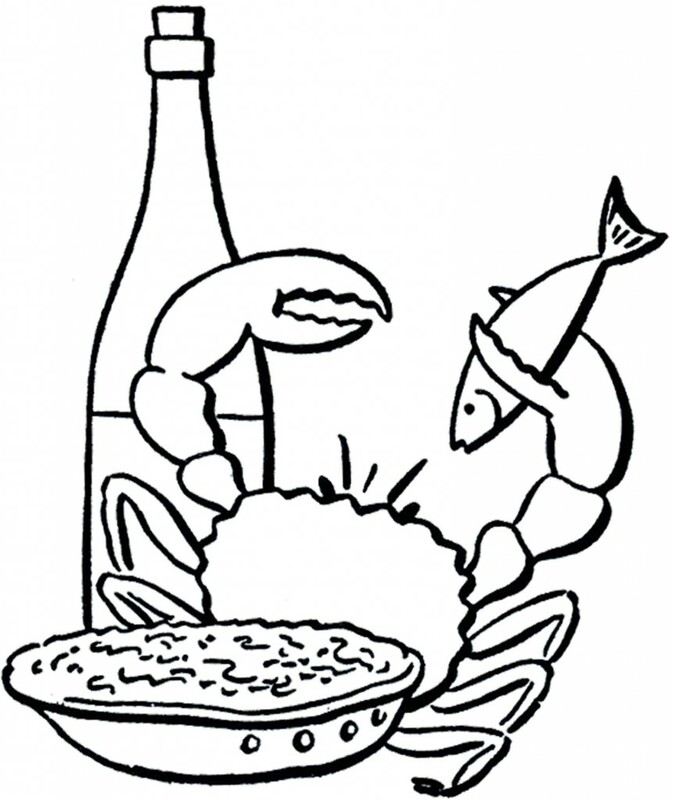 This is a fun vintage Seafood Dinner Line Art! This Retro picture was scanned from a 1940′s Printer’s book. Shown above is a large Crab, holding onto a Fish in one of his Claws! He’s sitting next to a bottle of Wine. Time for Dinner! You might also like a lovely Cake Image from the same book HERE. Vintage Dove Silhouette Image! Fun Retro Coupon Moms Image! Vintage College Campus Image! Ha! It looks as though the crab is making off with dinner. Love it. Reminds me of the illustrative style I saw a lot as a kid. I was born in ’68, but there was still a lot of 40’s stuff floating around in my parents’ house.